On this episode we ended up geting a few beers form the east coast. From Brooklyn, New York Brooklyn Brewery Sorachi Ace and from Tarpon Springs, Florida Saint Somewhere Brewing Company Pays du Soleil. 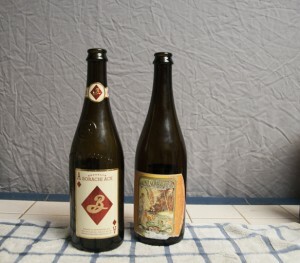 Posted in Blind Taste Testing (2011 - 2013) and tagged Brooklyn Brewery, New York, Pays du Soleil, Perfect Pint, Saint Somewhere Brewing Company, Sorachi Ace.